de-stress, decompress and basically rock the F**K out of your life. We will have workshops custom-designed for specific demographics moving forward. What the heck is “Magic Mondays”? Why are you doing this? I’m so glad you asked…! 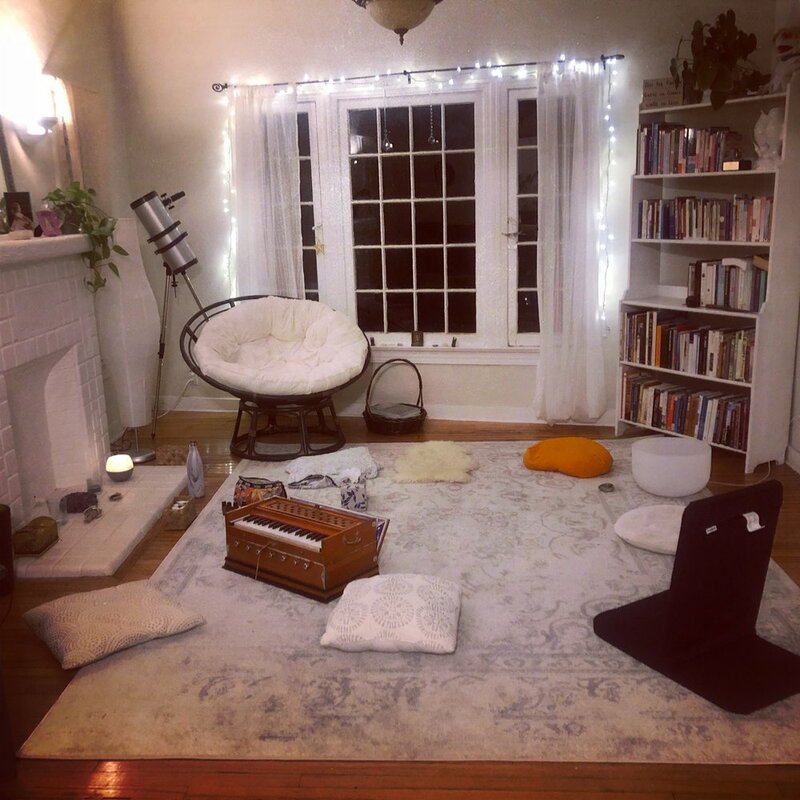 Fiona and I have been craving more in-person conscious connection with other creative and spiritual friends, so we decided to create a warm, welcoming space (a la “Chateau Fiona”) to share our collective wisdom and badass tools with more people. 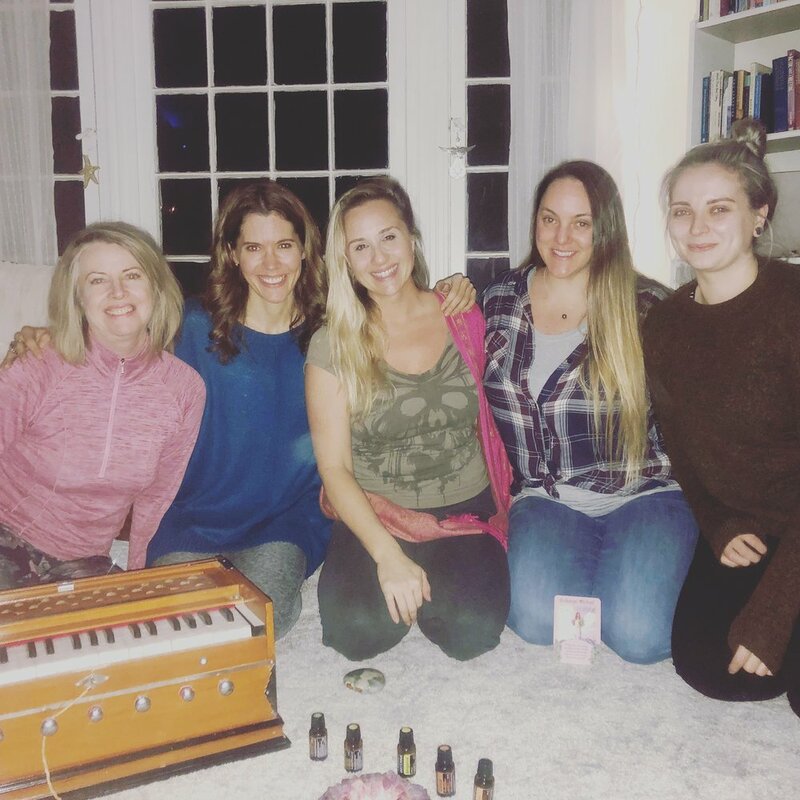 We’ve both had amazing success with tapping and oils and yoga… so the next logical question became… How do we share this sh*t with more people? So…. on the 2nd Monday of each month, we decided to create an IRL (!!) 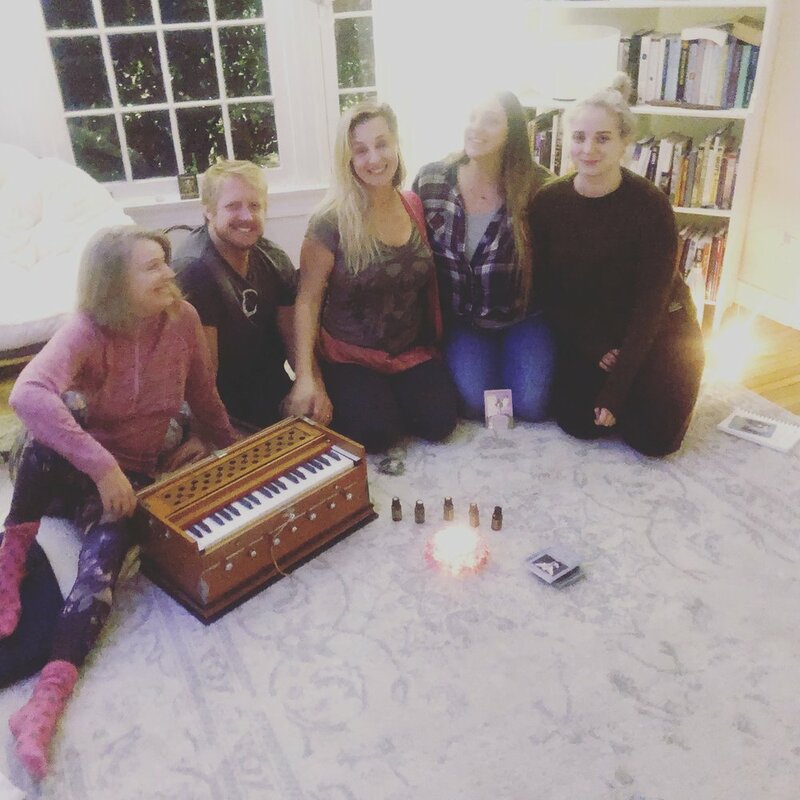 soul-shifting 2-hour workshop in Los Angeles where we jam on mindful living, moving through your blocks, and gracefully navigating the unique challenges of modern life. Our intention is to help you de-stress your body, elevate your mind, and give you practical tools to help you create a life you love. Each workshop will be focused on a different topic. (Got a request?? Let us know!) Fiona will share which Essential Oil can enhance your integration of that topic and then Karen will lead a Pro EFT™ Tapping session to help release your blocks and ground your energy. To close out our time together, Fiona will guide us in a short sound bath &/or Kundalini meditation. We’ll also have time for sharing and Q&A. You’ll leave feeling refreshed, rejuvenated and re-wired. In other words, Zen AF. FREE Gifts for All Attendees! No tapping experience necessary. (It’s also totally ok if you have no idea wtf Tapping actually is.) Wear comfy clothes and bring water. You may also want to bring a journal. Questions?? Email Karen at karen@TheLuckySoul.com. Click the “Buy Now” button below to reserve your spot! Which Monday are you registering for? Monday, March 11th: Radical Expansion and Abundance — Do you feel worthy of receiving more?